Experimental Neutron Resonance Spectroscopy deals with the experimental technique of neutron resonance spectroscopy. Pulsed accelerator time-of-flight spectrometers and gamma rays from neutron capture in resonances are discussed. Total neutron cross section measurements are presented, along with neutron scattering and capture cross-section measurements and measurements on fissile nuclides. This book is comprised of five chapters and begins with an introduction to pulsed accelerator time-of-flight spectrometers with moderated continued neutron spectra, together with the pulsed Van De Graaff. 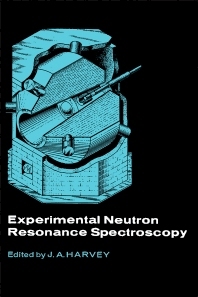 Experimental techniques used for neutron cross section measurements, including detectors and data acquisition equipment, are then outlined. Scattering measurements and capture measurements as well as gamma-ray spectra from the capture of neutrons in resonances are considered. The final chapter focuses on the detailed and varied experiments that have been performed on the complicated fission process, together with the parameters of the resonances of the fissile nuclides. This monograph will be a useful resource for spectroscopists and physicists.